Czech Radio Club (in short C.R.C.) associates most of the radio amateurs in the Czech Republic. It is an independent, non-political and non-business organisation. Its Statutes guarantee direct influence of the members on democratic control of all common affairs. C.R.C. was established on 10th May 1990 as a legal successor of all previous amateur radio organisations in the Czech Republic and in Czechoslovakia. The Czech Radio Club has about 2.037 members and more than 159 member radio clubs, which operate in 86 counties in CR, ie. in all bigger towns and villages in Bohemia, Moravia and Silesia. There are about 2.301 licensed HAMs in the Czech Radio Club. Any comments or suggestions? Please send it to Jan, OK1NP: "ok1np at centrum.cz", or "webmaster at crk.cz". 12.05.2015 - See You in OK-OM DX Contest! 06.01.2014 - NEW OK-OM DX SSB CONTEST – 2014!!!! 28.10.2009 - The Award Programm of the C.R.C. 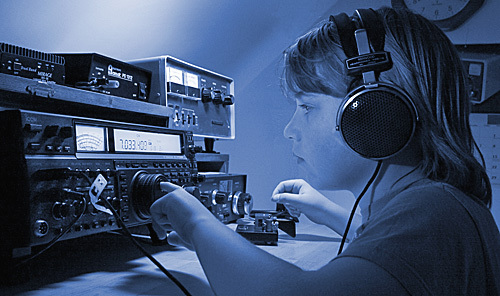 19.04.2009 - What is HAM Radio? International Amateur Radio Union - IARU - Region I.